Focus the Mind. Tone the Body. Many people have the stigma that eating healthy is expensive and difficult to accomplish on a consistent basis. While this can be true, there are many sensible ways to maintain a healthy, well-balanced diet while actually saving money. After much trial and error, I was able to compile the perfect formula for achieving both. The following tips have reduced my grocery bill to less than $35 a week, while ONLY buying fresh and healthy foods. Don’t believe me? Follow these tips to see for yourself. Buy whole foods- Surprisingly, unprocessed foods such as whole grain oats, rice, potatoes, canned tuna, and frozen chicken breasts are cheaper and more nutritious than their processed packaged substitutes. Buy frozen/canned produce- Instead of reaching for the pint of fresh blueberries; opt for the frozen or canned item instead! They are less expensive than fresh produce, and typically have the same amount of nutrients. Just make sure to look for “no sugar added” or “low sodium” before you buy. Buy less meat- Cutting meat out of your diet at least once a week will dramatically cut down your grocery bill. Instead sub the meat for beans, eggs, yogurt, and if you’re feeling daring, tofu. They are healthy, filling, and much less expensive. Eat out less- One of the best ways to eat healthier while saving money is to eat out less and to cook more. Yes, you could always opt for a salad at lunch, but who REALLY knows what ingredients went into making the dish. However, you do control which ingredients are used when you cook yourself, and almost 100% of the time your meal will cost less than eating at a restaurant. Meal plan and make a shopping list- At the beginning of each week pre-plan your meals for the entire week. This means breakfast, lunch, and dinner. Once you decide which meals to make, write a shopping list of all the ingredients you will need, including snacks. This will prevent you from spending money on items you may already have and from potential unhealthy snacks you do not need. Buy in bulk- Buying in bulk almost always costs less. When feeding a family this can seem like a great idea, but the lone shopper may be intimidated. A good rule-of-thumb is to ONLY purchase items you frequently use. For example, if you eat brown rice three times a week, it would be cost effective to purchase a larger amount of rice at one time. Don’t buy pre-portioned foods- Food that comes in ready-to-go packages such as fruit, smoothies, and cheese may seem super convenient, but they almost always cost more than buying them individually and packaging it yourself. For example, an individual package of apples and peanut butter may cost $3 at your local convenience store. If you pack the same snack yourself, the apple may cost $.60 and 2 tablespoons of natural peanut butter may cost $.30, making the same snack much cheaper. Buy in-season- When shopping for fresh produce, buying in-season will almost always cost less. For example, berries and zucchini are cheapest in the summer, while squash and apples are cheapest in the fall. Plus, food grown in-season tastes better. Clip coupons- Check your local paper, grocery store flyer, and online websites such as coupons.com and smartsource.com to search for coupons. If you would rather go paperless, download a couponing app on your smartphone such as Checkout51 and Pushpin to easily search and organize coupons for items you shop for most. Want more tips on how to eat healthy without spending an arm and a leg or spending hours cooking in the kitchen? Get this plus 20 snacks you can make in 5 minutes or less in my FREE Snack Guide today! Katie Sampayo is a Certified Personal Trainer and Fitness instructor with a passion for helping others live a healthy, happy, and holistic life. Check out her blog posts for fitness tips, healthy recipes, workouts, mindset tricks, and more! Burn fat eating snacks with my 20 best fat-burning snacks you can make in 5 minutes or less in my FREE Snack Guide! 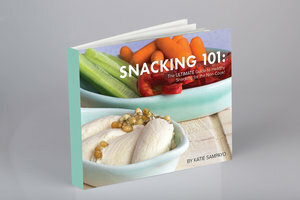 GET YOUR FREE SNACK GUIDE! Click a category to see blog posts!